On the reports emerging from Pakistan quoting a former Pakistani army officer that Jadhav was arrested from Iran, Baglay said the government has been saying since last year that he had been kidnapped from Iran. Kulbhushan Jadhav. Express photo video grab. 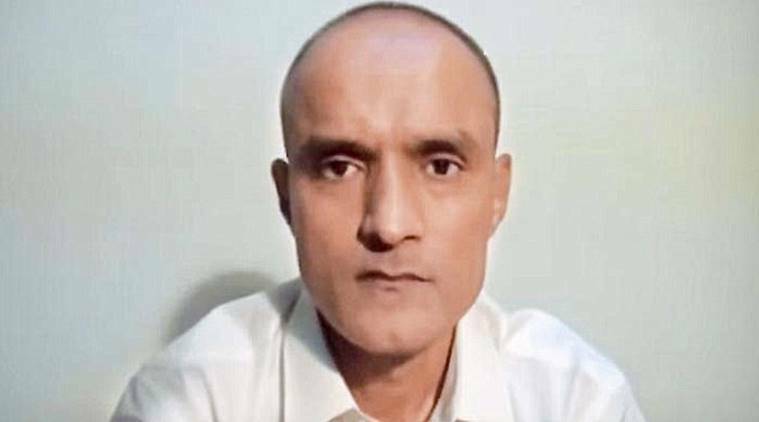 India has no information on the status of appeal or the petition given by the mother of Kulbhushan Jadhav, the Indian national who has been sentenced to death by a Pakistani military court for alleged espionage, to the Pakistan government. External Affairs Ministry Spokesperson Gopal Baglay said it was up to the International Court of Justice (ICJ) to decide the future course in the case. “We have no information on the petition and appeal Jadhav’s mother had sent. Our High Commission has handed over it to the Pakistan government. We do not know the charges against him. We had sought court documents which have not come to us,” he said. On the reports emerging from Pakistan quoting a former Pakistani army officer that Jadhav was arrested from Iran, Baglay said the government has been saying since last year that he had been kidnapped from Iran. In the absence of the consular access to him, the circumstances of his presence in Pakistan remains unexplained, he added.